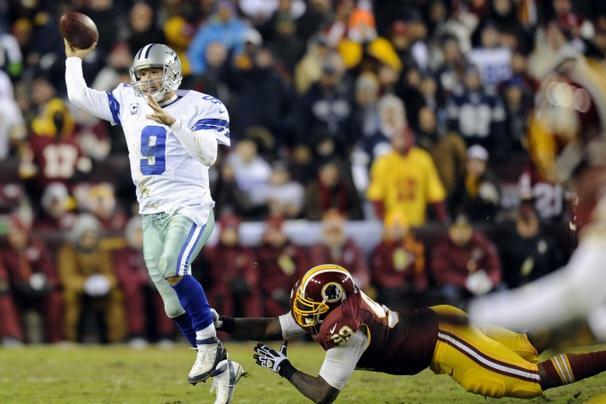 It’s been quite a while since there seemed to be such a huge disparity between the Dallas Cowboys and the Washington Redskins, heading into their Monday Night Football game from opposite sides of the NFC East division. The Cowboys have just one loss so far this season, just like the Denver Broncos and the Arizona Cardinals. Since losing their opening game to the San Francisco 49ers, the Cowboys have won six straight games, including at Seattle and last week against a resilient by mistake-prone New York Giants team. The Redskins on the other hand simply seem to be moving through quarterbacks as one is injured and the other has been a huge disappointment. There seems to be a pattern here. The Redskins won against the Jaguars with Robert Griffin injured early on and Kirk Cousins taking over. Things haven’t gone too well for the promising quarterback, who everyone (including us) thought is the better option behind center. He got benched in the game against the Titans, Colt McCoy came on and picked up the win. It has earned him his first start in three years. The Redskins might feature Griffin at some point, as it seems he has almost healed from his ankle injury, although for now, Jay Gruden has named McCoy as his starter. McCoy has pretty impressive targets to throw to: DeSean Jackson with 26 receptions for 528 yards and Pierre Garcon, catching 35 passes for 396 yards. Speed and getting the ball downfield isn’t a problem, as long as interceptions aren’t being thrown, something Cousins did nine times. Besides turnovers, the Redskins struggle moving the ball on the ground. Alfred Morris who did so well during his first two seasons and was extremely efficient against the Cowboys in 2012 is averaging only 62.9 yards per game so far with 3.8 yards per carry. Roy Helu is averaging 5.4 yards per carry but with the Redskins behind so much in their games, it’s a rare occasion to see them having the luxury of running on consecutive plays. That’s not a problem for the Cowboys, with DeMarco Murray setting NFL records through the first seven games of the season. He might be overworked, but it’s working well for the Cowboys, as Murray has rushed for a league high 913 yards on 187 carries, with only O.J. Simpson carrying the ball more times through the first seven games of the season. Murray doing so well has helped Tony Romo become a lot more efficient and eliminate a large number of his mistakes. Romo has thrown six interceptions, but most of those came in the opening game. Since then it’s been pretty comfortable for him and his teammates, helped with a massive offensive line that’s been excellent in defending their quarterback and opening running lanes. Romo is completing 69.2% of his passes, while the best way of understanding how good this offensive line is comes from Murray: He is averaging 79.1 yards per game before contact. There are only three other running backs in the league with an average of 79.1 yards per game, with and without contact, in the entire league. The Redskins are missing their best defensive player in Brian Orakpo, out for the season. They’ve lost their last eight games against divisional rivals. They’re 0-4 so far playing against other NFC teams. Heading into Dallas doesn’t seem like the best of ways to get back on track after a 2-5 start, but at some point Murray is going to slow down, and maybe the Redskins will be the first team to take advantage of that.